Mumbai City FC were comfortable victors over Chennaiyin FC in a one-sided contest at Mumbai Football Area. The hosts extended their unbeatable run with a 2-0 win by securing their fifth win out of the last 6 to climb to second in the league table. Jorge Costa's side opened the scoring through the 22-year-old attacking midfielder Raynier Fernandes in the 27th minute. They got lucky in the second half through Rafael Bastos' shot which got deflected off Eli Sabia to fall onto the head of Modou Sougou who just had to head the ball into the empty net to pile even more misery on the reigning champions. With just one victory in eleven games throughout the season, John Gregory's team's chances of qualifying for the playoffs look out of equation following a horrendous display today. On the other hand, the hosts are just 3 points off the league leaders Bengaluru FC. Here are the five major talking points from the game. 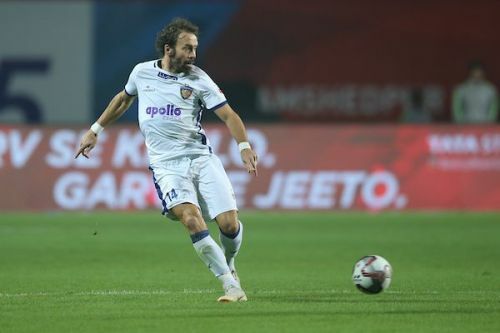 Chennaiyin FC's defensive midfield consisting of Inigo Calderon and Anirudh Thapa was crummy throughout the game. Sehnaj Singh and Paulo Machado were like rocks and ran the show in the middle of the park to totally nullify the away side's midfielders and feed the attackers. Both the goals were conceded because the failure of one of the midfielders to stay with the defence. When the ball was lost high up the pitch, it was too easy for Raynier Fernandes to take a shot with no Chennaiyin player closing him down. 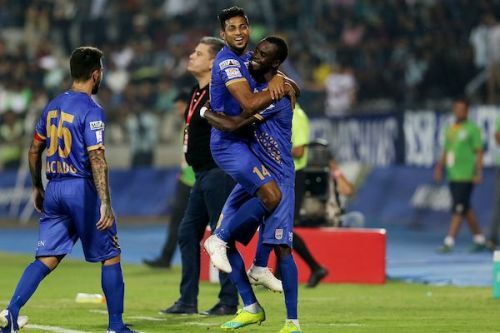 The same can be said about the second goal when Rafael Bastos dribbled all the way from the defence which deflected off Eli Sabia and fell onto the Mumbai striker Modou Sougou's head who had no right to miss that chance. Chennaiyin's defence was well protected by Dhanpal Ganesh and Bikramjit Singh last season. But, without conventional defensive midfielders, it has taken a toil for John Gregory who is struggling to find a formula to repeat the last season's form this season. Even though Gregory has asked them to play in this position, part of the blame must go to players who are not learning from the past experiences early on in this campaign.